VIVO Pro Kabaddi, successfully concluded the first day of the Player Auction in Mumbai. 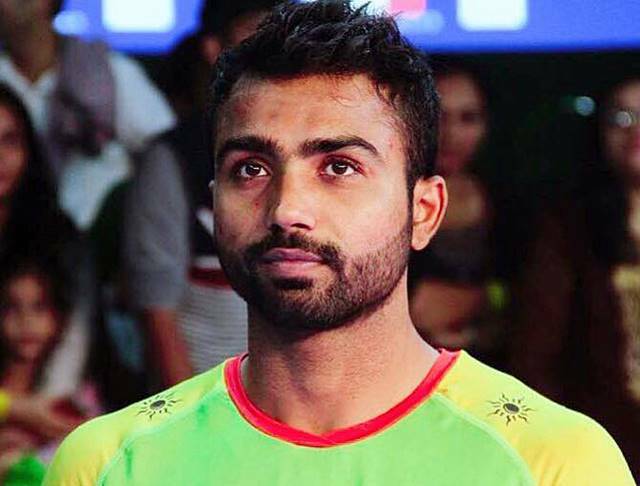 The first day of the auction saw the 1 crore barrier breached six times with Monu Goyat leading the way to VIVO Pro Kabaddi history. Day 1 was dominated by New Young Players and Category-A stars, with franchises finding the perfect balance between experienced and young players to craft winning teams. Star Marquee players Rahul Chaudhari, Monu Goyat and Deepak Niwas Hooda were the top buys in the auction, picked up by Teams Telugu Titans, Haryana Steelers and Jaipur Pink Panthers respectively. Fazel Atrachali is the highest valued international player, at INR 1 crore. VIVO Pro Kabaddi S6 auctions. Kabaddi has proven to be a viable career option for emerging talent and with 6 players crossing the INR 1 crore mark, it is a defining moment in VIVO Pro Kabaddi history, setting a benchmark for inspiring youngsters who look to make a difference in the game. Monu Goyat commentating on being the highest bid player said “I am extremely happy to be the highest paid player this season, there is a huge responsibility to deliver and I am glad to receive this opportunity. I will now focus on increasing the standard of my game and playing the best, I can. 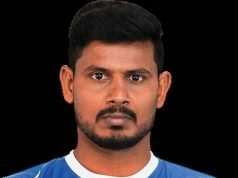 Rishank Devadiga: I’m very happy with today’s auction, I never thought that I would be auctioned at such a high rate with such a high bid, this is very joyous moment for me and especially for Pro Kabaddi League this season. Seeing kabaddi on such a high platform is a great feeling as there were 6 players who fall in the crore club, and none of us expected to see kabaddi have such a tremendous change. All I can say is that we as kabaddi players are couldn’t be happier. 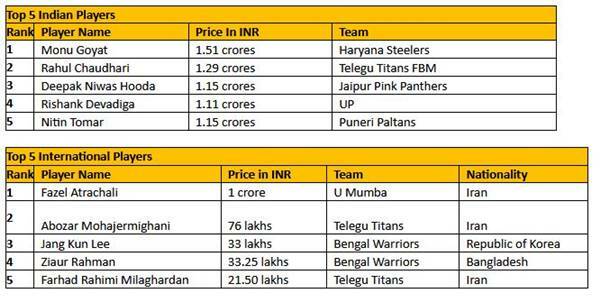 Haryana Steelers make VIVO PKL history by making the highest bid of INR 1. 51 Crore Raider Monu Goyat. Deepak Niwas Hooda was the third highest bid player, bought by Jaipur Pink Panthers for INR 1.15 crores. Rishank Devadiga was the fourth highest bid player, bought by Puneri Paltans for INR 1.11 crores.